The decision has been made; I am going to purchase OS4.1 for my A1SE! The main reason for this is that when I am programming some stuff does not work the way it should be and what works in one example does not in the other. I am getting some real strange results which I am contributing to the OS4 Pre-Release I am using. For example with some ReAction stuff I had to use code that is not really recommended any more to get it to work. When I follow the guideline for ReAction it just does not work and gives me the Grim Reaper. Since I was going to start with ReAction for The Bucket Programming Corner I really did not want to teach you all the incorrect ways of programming. 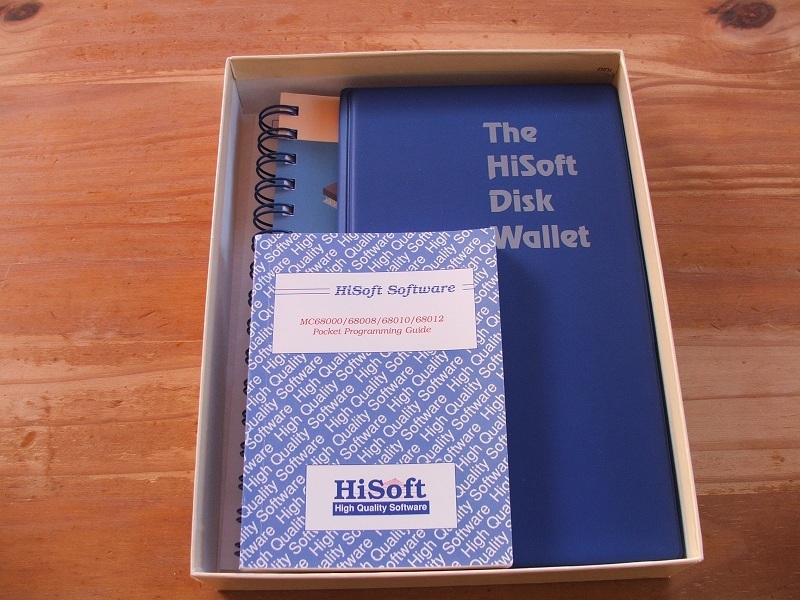 Plus there are so many other benefits when it comes to Amiga OS4.1 and the updates. The plan is to purchase it within the next two weeks or so. I really have to DeC myself at the moment since I started to program in Amos again. I need start thinking basic again instead of C. Work on the disk magazine is going rather slow at the moment. On top of that I also want to do a few tutorials on Amos. It is really strange but as soon as you start Amos you start getting these happy feelings from the past. Just seeing some code on the screen makes me smile. Amos still has this great nostalgic wow factor which says something about Amos. 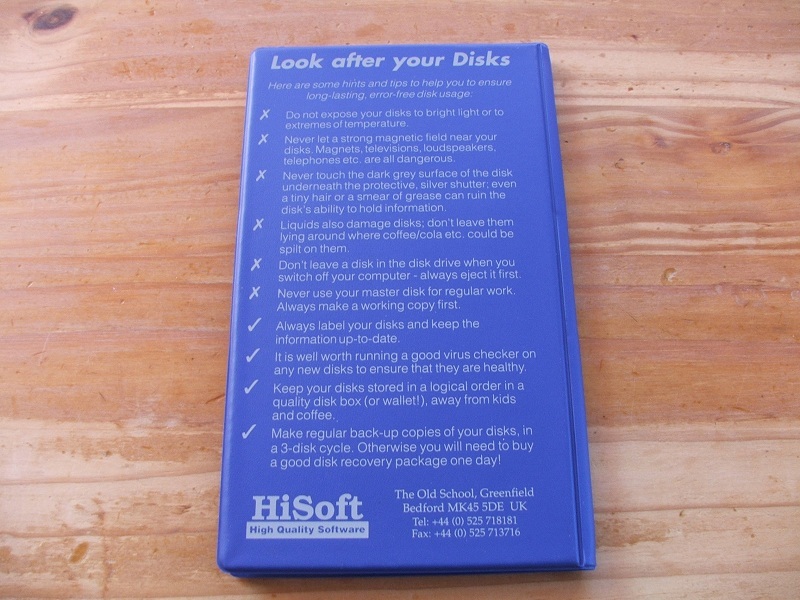 This week it is a short column but I felt like sharing my OS4.1 purchase urge. Till next time! My second week of work after the holiday has already ended and suddenly the lack of time is back. I was unable to release a column last week due to not having enough time. 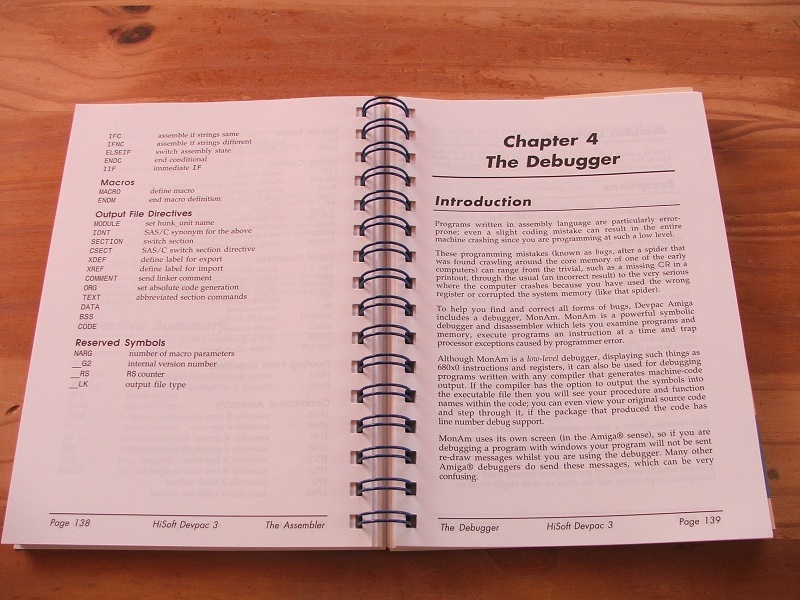 The bit of time I did have I used to write for my The Bucket Programming Corner section. I should be able to publish the first tutorial (introduction) this weekend. I still need to test my Pegasos Phreeboard to see if it still works. I got this planned for this weekend. No excuses just get it done attitude is what I need for this. I will borrow the A1SE components for this so that I can confirm it still works. If it does I can go hunting for the components needed to get my Pegasos Phreeboard running again. Lately I read a lot about the NatAmi project. I recommend reading “Natami: The Testing of the MX Board” at Oldschoolgameblog. I could not help thinking how Amos might get a second life so to speak on the NatAmi. It certainly would be my choice to play with Amos on the NatAmi if I had such a board of course. If they could get the price to be really attractive (read cheap) I am sure demand would surpass supply. My guess is that the price would be between the 500 and 1000 Euro. It took a good 4 months but finally ART episode 49 – That Windows Guy has been released. Paul Thurrott was the guest on the show. I just hope the next episode will not take that long like this one to be released. I loved the show and it was great to hear Paul Thurrott talk about his Amiga experience. 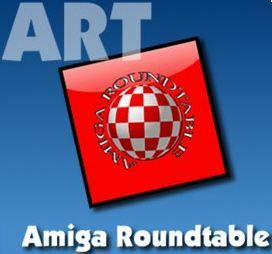 Rich Lawrence comments on the episode at the Amiga Roundtable section of the AmiZed Studios website. Would be nice to see some NatAmi attention on the show in the form of having some key people of the project on the show. For the last two weeks or so I visit MorphZone frequent. I am trying to brush up my MorphOS knowledge since I missed out on a lot after being away for such a long time. What I really love is that you can test the latest MorphOS version before buying it. It will slow down after 30 minutes until you reboot. This will give you the opportunity to test it before you purchase it. The cost for MorphOS is 111.11 Euros. If my Phreeboard works I would purchase the latest MorphOS first before I would go for Os4.1 or higher. A bit of a short column for this week but I will compensate it with one or two articles that I will release this weekend. Last week was a no-show with the column. Not posted on Friday (that is the idea) but instead on Saturday at least this week there is a Bucket Weekly. Mostly on Friday’s I am knackered after a week of getting up really early to go to work. But there is a bit of hope since there is only one more week of work left for me before my one month holiday will start. Destination is Thailand and it will be our first return after about 6 years after we moved from it to start living in Holland. I can’t wait to go back and have a great time. What would be my top 10 favourite Amiga games? That is a question that is on my mind for some time already. I have come to the conclusion it would be impossible for me to make a permanent list. Why? Because I would keep moving games up or down, remove some or even add new ones. I could for example rank Run the Gauntlet at place 7 only to take it from the list a month later. For example I played Pirates mostly in the winter so if I make my list in the summer it might not even make it while if I make the list in the winter it would rank on a high place. My idea is to make a live list that could change overtime based on certain factors. It even could start as a top 10 list changing to even a top 25 or 50 list. Another plan is to write some game reviews with the games getting scores on specific factors. It certainly will be a nice trip down memory lane doing all that stuff. 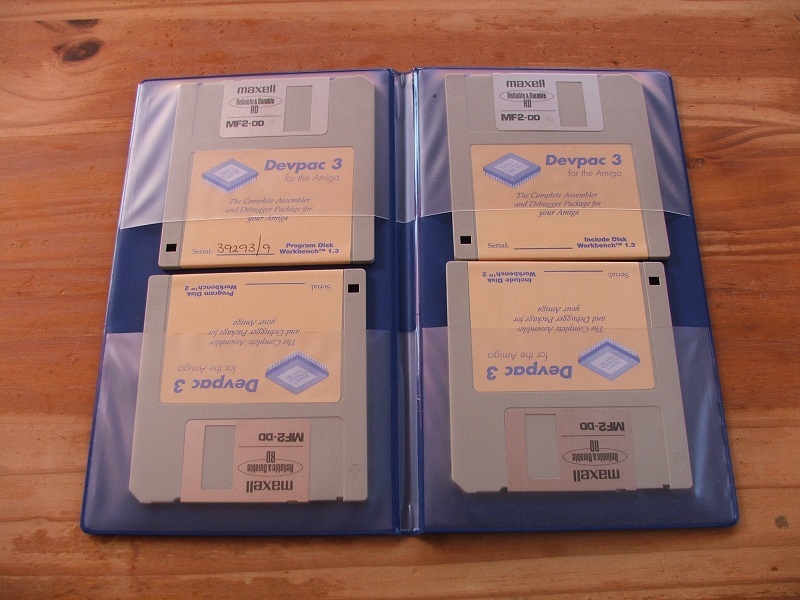 As a treat I got some nice pictures from my Devpac 3 package which is in mint condition. 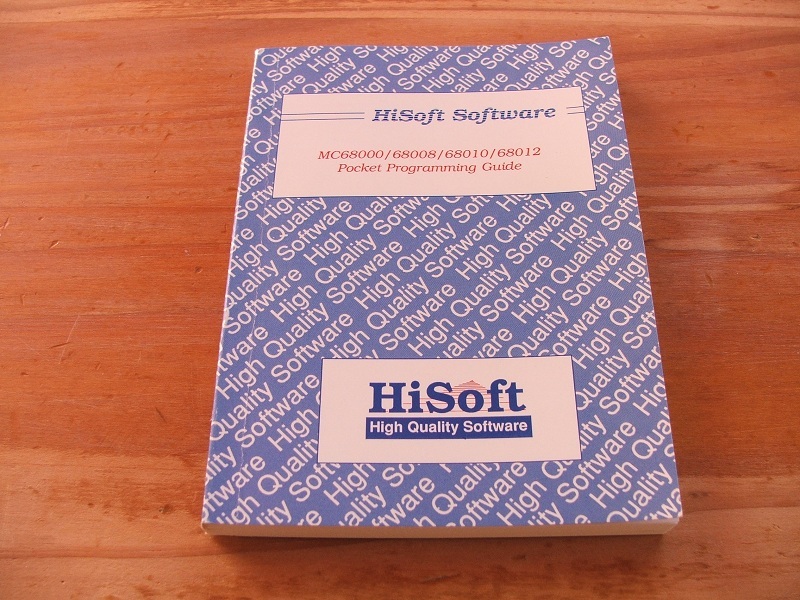 It has the user manual which is in a perfect condition and the same goes for the pocket programming guide. 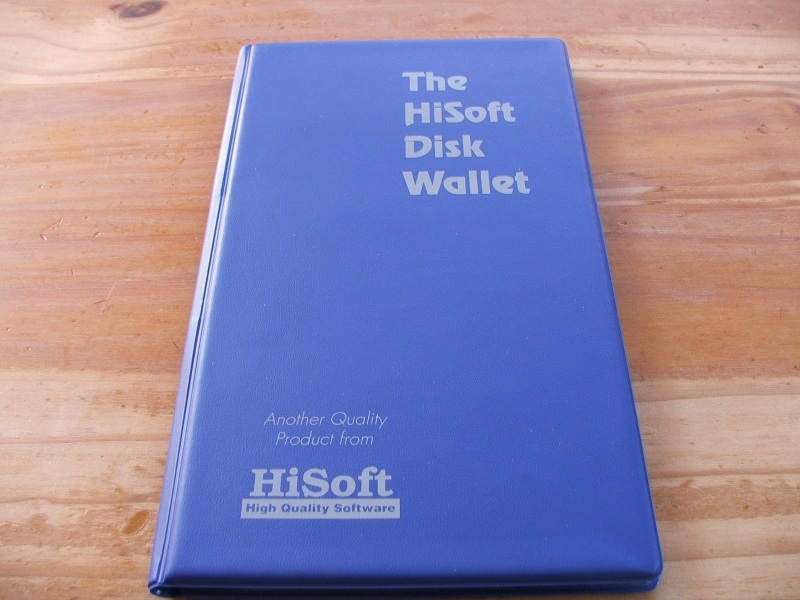 It also has the HiSoft disk wallet with the four disks which I think I only took out once to make a backup. 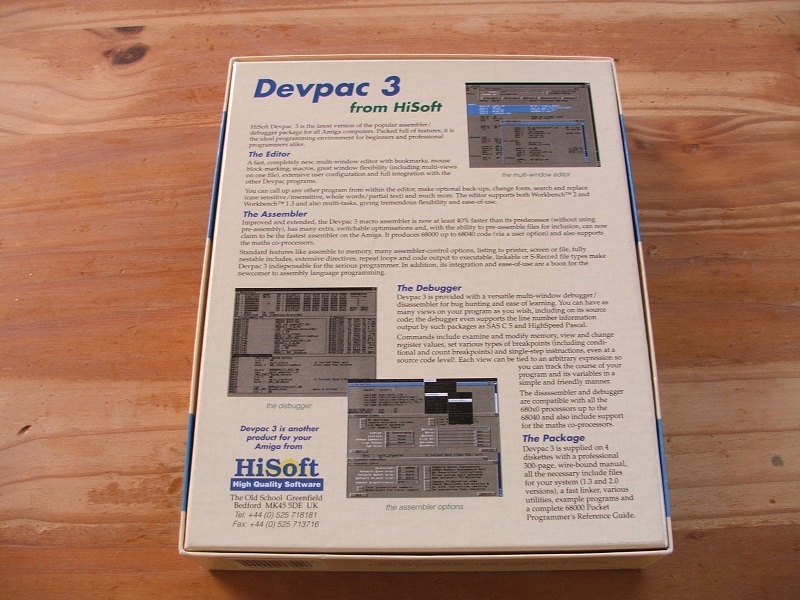 I never did any important programming with Devpac 3 but I gained a lot of knowledge getting into assembler programming. I am trying to remember what I paid for it but I can’t remember exactly. It was for sure above the 200 Dutch guilders which was a lot of money at that time. Besides Amos and Devpac I really had the hots for Lattice C but the price (several hundreds of Dutch guilders) was just too much for me at that time. 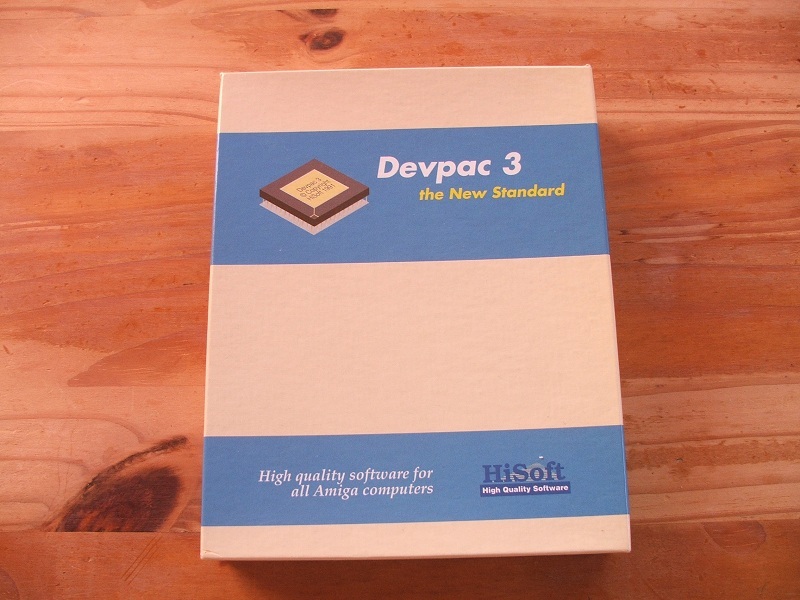 Anyway feast your eyes on Devpac 3 mania…. This issue was included in my Amos The Creator 1.3 package. I just spotted it when I was going through some Amos memorabilia to get some inspiration for Redhouse Basic. At the time of Amos you would get your info through magazines or you would become a member of one of the Amos clubs available. At the time I was a member of the Dutch Amos club. And of course you had the Amos disc magazines which had valuable information. One of the topics in the newsletter is the first commercial Amos game called Cartoon Capers. I have to admit I never played this. Another interesting topic was the 10-Liner competitions where you have to write a program in Amos in 10 lines. Stunning stuff was created this way to great amazement of many people. Another topic was “First steps” teaching you some simple basic things. The newsletter ends with “20 things you didn’t know about AMOS and its creator” which teaches you some nice to know facts about Amos and Francois Lionet. Just going through it and the other memorabilia brings back some fond memories. And gives me a bit of a boost to get active with Redhouse Basic. The idea is to get this done as soon as possible and not something that is coming out (even in a alpha stage) after several years. Although even if it is OS4.x specific it would still take a significant amount of time to get it done. Not ditching on other parts but being able to create OS4.x GUI programs should have first priority. Trying to create an all-round Basic program would delay it. The other parts can be added later. With the OS4.x GUI part you already got something good and it will have something Amos did not have. More on this subject will follow. 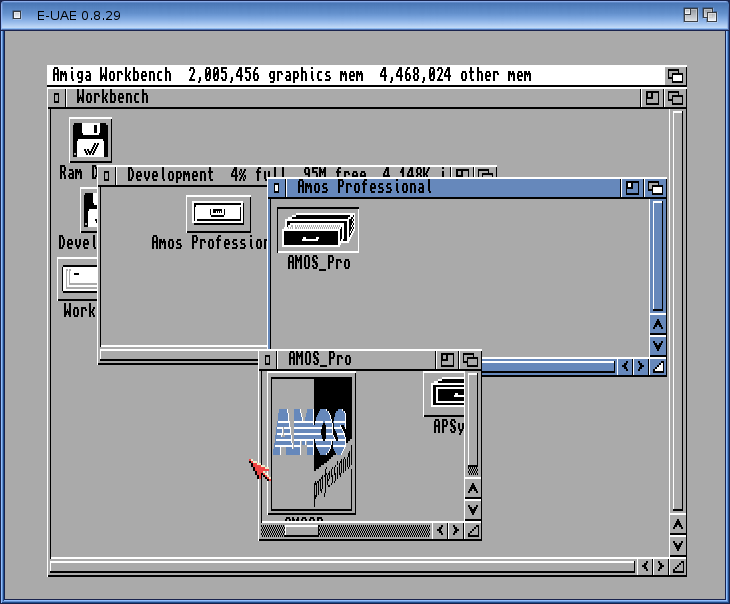 My first Amos product was Amos The Creator (version 1.3). 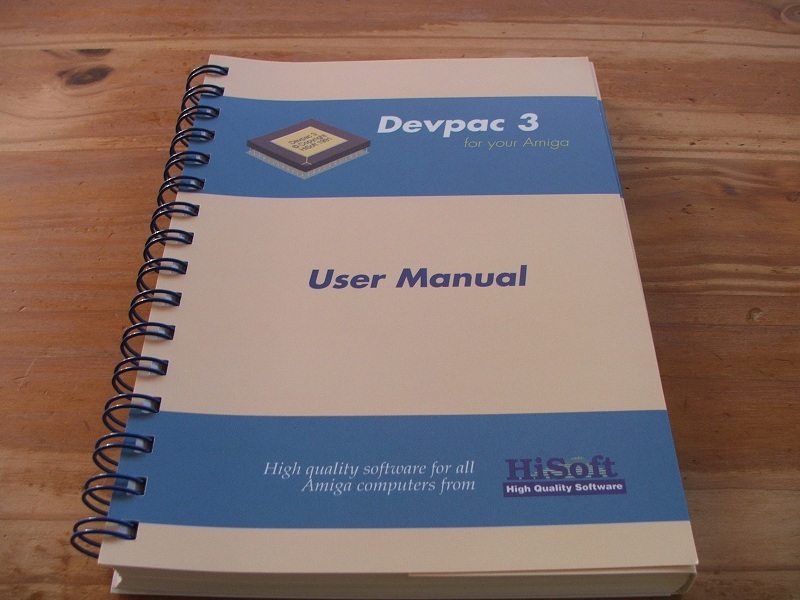 For me the manual was like the holy bible. I carried that manual with me all the time when I was in the house. Even if I did not read it I still had it with me. Today you can find all the info you want on the internet. Back in the day you did not have many sources for information. The Amiga magazine was the only source of information or a bulletin board if you had access to it. If you are stuck with a routine now you just post on the forums and you get your answer. Something you did not have back in the day. Currently I am digging up all my Amos reading material again and boy that brings back some pleasant memories. I have some problems locating my Amos Professional manual but I am sure it is somewhere in the house. I am pretty sure it made the trip from Thailand to Holland when we moved and also the next trip when we moved from my home town to another town in Holland. If I do find it back I will make sure it goes in the easy to find back moving box when we move to (again) another town in Holland. We bought a house and the the plan is to move at the end of July or beginning of August. The reason I am locating all the Amos reading material is that I am planning some projects related to Mattathias Basic. You will read more about this in the coming weeks here on this site. For now I will keep on carrying that book.